Here at Weathertite Systems, LLC, we count on our satisfied customers (you) to tell your family, friends, and neighbors about your experience with our company and the quality of our work. 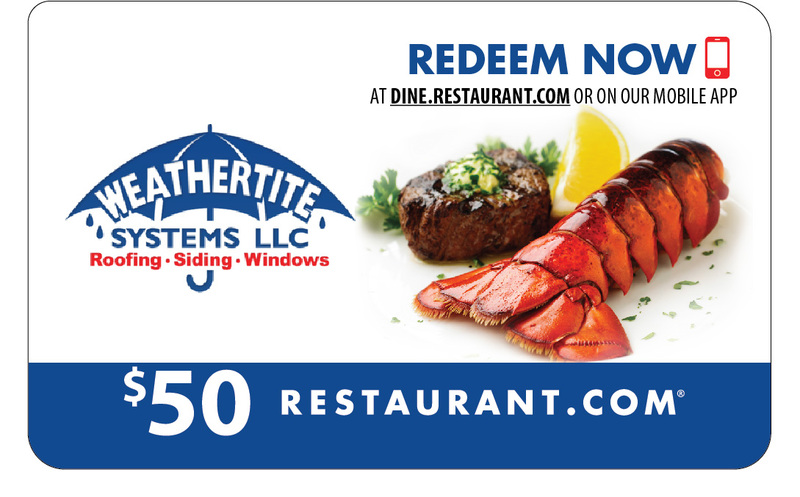 Weathertite Systems, LLC would like to offer you a $50 Restaurant.com gift card for referrals that result in a completed job. This is our way of saying "thanks" for your endorsement!